Clare Mount's Christmas Bingo...Save the Date!!! 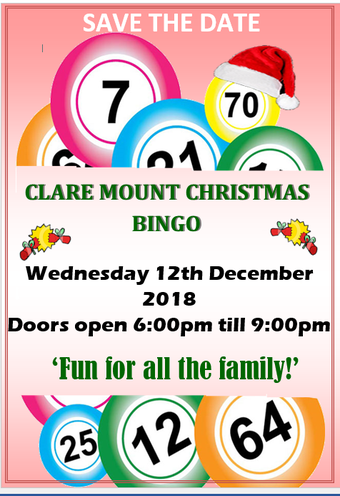 It's that time of year, Clare Mount's Christmas Bingo is here! Eye's down!